Revv Amplification > Diffusion Audio Inc.
Revv amplication is built around the foundations of Integrity, quality and relationship. 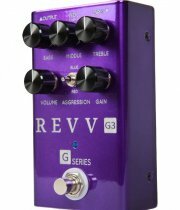 Revv is a small but world class operation that builds amplifiers with detail-oriented focus and high quality parts. Revv take pride in their products and services and the relationships they form with the people that rely on them to keep them rocking. 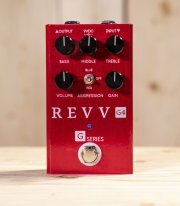 The circuit boards are hand crafted and the circuit design principals are modern and original which allows Revv to meet their goals of superior tone, and a reliable, well-built amplifier with great functionality! We have 1 x Generator 100P and the G3 and G4 Pedals in stock. We're also taking pre-orders on the D-20, check out the video and contact us for details.